quick hurry. As this classic battle between Ford and Chevy heats up it will be interesting to see if other automakers will get involved. Toyota has already upped the ante with the introduction of the brand new TRD Pro Series Tundra, Tacoma, and 4Runner but it remains to be seen if they have the wherewithal to run with the big-dogs of off-roading. I wonder how long it will be before Ram takes a run at a jacked-up off-road performer? 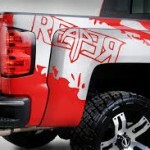 The 2014 Reaper begins with an already capable Chevrolet Silverado four-wheel drive crew cab, short-bed pickup truck that is loaded with amenities. Plush leather heated and/or cooled seating, tons of available interior cargo organization options, large straightforward oversized control knobs, your choice of a 4.2-inch or an 8-inch LCD touchscreen with MyLink, Bose sound system, new Quiet Cabin technology, and a redesigned steering wheel with more integrated controls make the Silverado the most comfortable full-sized pickup on the market. A newly redesigned exterior with inlaid doors, an integrated spoiler in the tail gate, and dual-power dome hood help to make the 2014 Silverado the most aerodynamic Chevy truck ever. 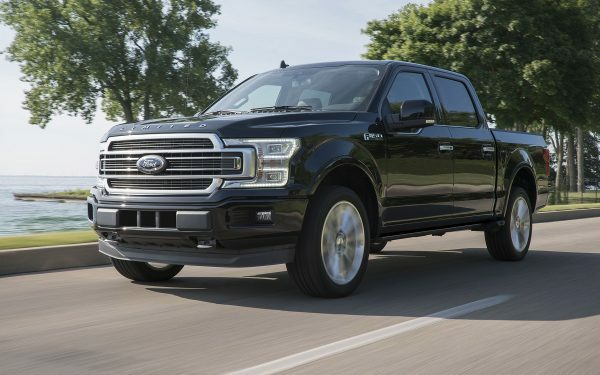 The 5.3-liter EcoTec 3 V8 engine with direct injection, variable valve timing, and active fuel management make it the most reliable, powerful, and economical truck on the road. 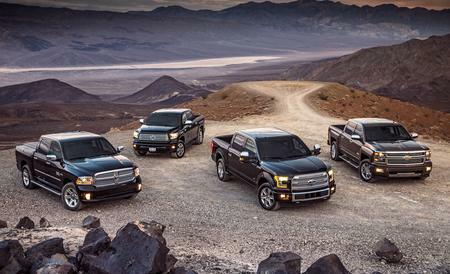 An available 6.2-liter V8 is also available for those who need extreme power. 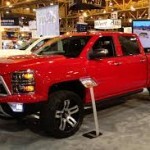 Safety features include a gauntlet of available airbags, electronic stability and traction control, four-wheel antilock disc brakes with Duralife rotors, a lane departure warning system (with specially designed seating to warn of unintentional lane departure), mitigated braking, Forward Collision Alert system, and hill descant control make the new Silverado the safest truck on or off the road. 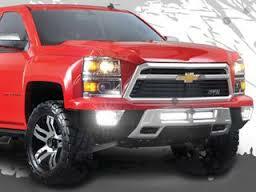 The stock 2014 Silverado LTZ 4X4 is equipped with larger rear axles than ever before, a locking rear differential, optional 9.5-inch and 9.76-inch ring gear differentials, coil over shock front suspension, and new high-rate lateral mounts. 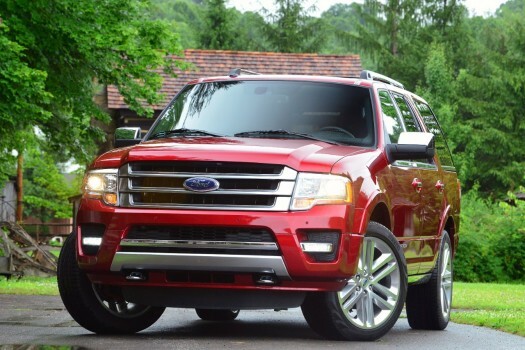 clearance front bumper that has ultra bright floodlights, daytime running lamps, and a reinforced skid plate built-in, and rock guard side steps are added. The unique appearance of the Reaper’s front grille seems to snarl at whatever obstacle is unfortunate enough to be in its path. 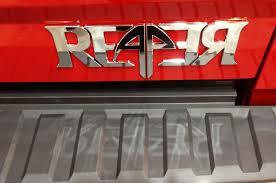 Optional equipment for the Reaper includes matte finish paint, a Rigid Brow 50-inch LED light bar and mounting brackets, roof rack, and electrically powered side steps with extensions. 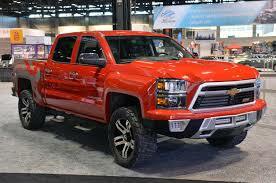 Supercharged trucks will also be adorned, using the appropriate badging, stylishly placed on the hood. Inside, a WeatherTech plastic floor mat system is also available to protect the interior of your Reaper from all of the Raptor guts through which you will be forced to walk from time to time. 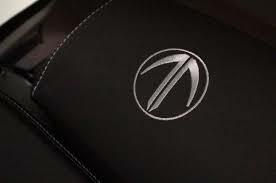 Specially stitched twin-sickle Reaper head rests are installed on the front seats. 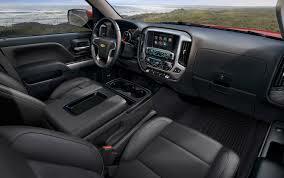 A factory designed auxiliary switch panel and Reaper gauge package is also added. The suspension is lifted 3-inches and fitted with FOX remote reservoir racing shocks, for increased wheel travel. Reaper 20-inch wheels with 33-inch off-road tires are standard but 17-inch bead guard wheels and off-road tires are available, as well. The combination of suspension lift, remote reservoir shocks, and oversized wheels and tires yields the Reaper a wheel travel increase of 25-percent over stock at 9.2-inches in the front and 11.2-inches in the rear. Under the hood is where the Reaper is really scary. 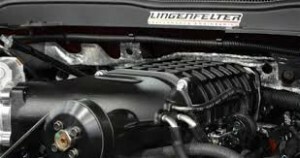 The 5.3-liter V8 can be upgraded with a 1900 cc Magnusson Supercharger, taking the smaller V8 to a Raptor whooping 475-hp. 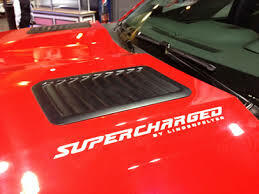 The larger V8, the 6.2-liter, can be outfitted with the Lingenfelter Supercharger that bumps the big motor up to a Raptor annihilating 550-hp. Both engines are outfitted with specially designed Corsa exhaust systems and tuned using Lingenfelter Performance Engineering software. Corsa exhaust systems are known for providing exceptional performance without sacrificing driving pleasure. Their free flowing design allows for increased performance with a deep throaty note that is not overbearing and never drones on. 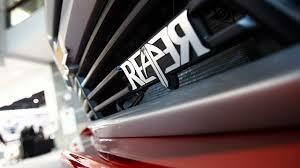 The Reaper will be made available to the public in the spring of 2014. Is that the sound of Raptor feet frantically scurrying for a hiding place? Don’t be scared little Raptor. The mighty Reaper just wants to play.